The town of L'Escala has a population of 3,500, tens of hotels, almost a hundred fishing-boats, curing factories, and may indeed be regarded as the most important fishing port on the Costa Brava coast. 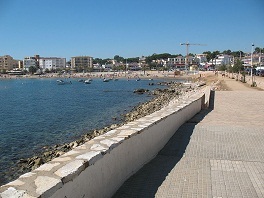 It is located at the entry point of the Gulf of Roses, the longest beach on the Costa Brava. Since the town was built at the end of the XVII-th century, almost all the houses are designed with modern architecture. There are two beaches to the west of L'Escala, very popular for swimming, Cala Montgo and Riells. 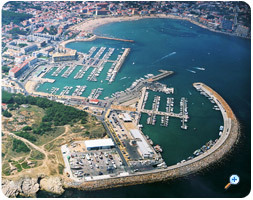 In the eastern part of L'Escala you will find two other beaches Portitxol and Empories. On the beach of Empories and in the surrounding area, archeological excavations have been performed since 1900, to reveal traces of one of the most important cultural cross-roads on the western Mediterranean. A succession of different cultures was established here, one after another since ancient times. Greek colonies or roman naval bases were built here throughout history. The ruins of Empories house a museum, but it is recommendable to have a guide when visiting the museum or the ruins.